Ever wondered what’s so great about sports? We all know it’s fun and exciting but did you know that there are some surprising health benefits of playing sports. The most common health benefits of playing sports are proper weight management, efficient functioning of the heart, lower cholesterol levels, controlled diabetes, lower hypertension, improved blood circulation and lower stress levels. Playing sports helps in the toning of muscles and strengthening of bones. The most amazing fact is that it brings positive energy, teaches discipline, helps to build self-esteem and mutual respect. You can improve your overall fitness through a variety of physical activities but sports offer more unique benefits. Participating in sports can improve your health throughout your life. The benefits of playing sports aren’t just physical. Playing sports greatly improves your emotional and mental health. It also improves your quality of life. As we have said earlier, the benefits that come with playing sports aren’t limited to physical benefits only. Have a look at some of the few reasons to consider playing sports. The ones who regularly play sports are less likely to take drugs. In Pediatric and Adolescent Medicine, there was a study published that reported that out of 14000 students, those who played sports on a daily basis were less likely to take drugs. There was also another similar survey performed by National Household Survey Of Drug Abuse. They showed that students who played sports were less likely to take drugs or even smoked cigarettes. The interesting fact was that they even discouraged others from taking drugs. Playing sports can increase success in the classroom. Various studies show that athletes have higher grade point averages, better attendances, higher standardized test scores, lower dropout rates and a better chance of going to college. Participation in sports could guarantee higher incomes, it’s not 100% accurate though. This data is based on a survey of individuals at executive vice president level of 75 fortune 500 companies. The survey showed that 95% of them played sports in high school. While this fact alone doesn’t guarantee higher incomes, promotions or better jobs. Playing sports do teach leadership skills, teamwork hard work, and positive emotions. The determination helps students to be leaders at work and in their communities later in life. Playing any sports requires memorization, repetition, and learning. Honing this skill sets can benefit you into other activities, including your career. It boosts self-esteem, gives you a positive view on life. Exercising is a natural way to release stress. Playing sports regularly cuts down on pressure and stress. Studies have shown that senior citizens who played sports in their early years were more likely to be active in their late 70’s. They also experience greater independence and quality of life. Sports or other physical activities increases chemicals in your brains such as endorphins, serotonin, and adrenaline which improves your mood decreases depression and improves executive functioning skills. Sports is also great social activity. It can help you meet new people, make new friends and increase self-esteem. Other than these benefits, there are plenty of other reasons why you should become involved in sports. 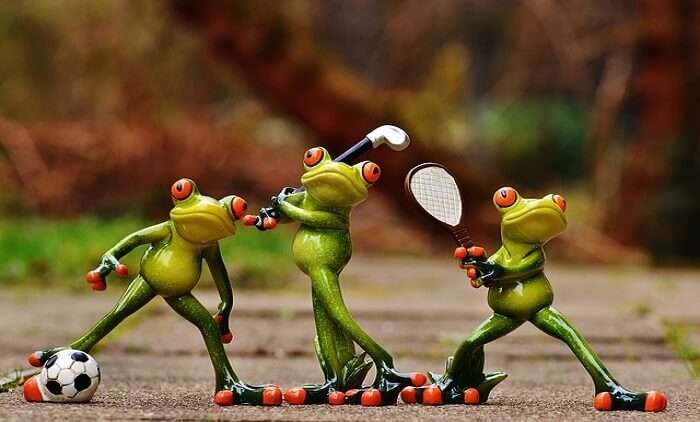 Playing sports is a type of workout but in a fun way. Just like any other exercise, sports help the heart in pumping more blood. There are fewer chances of malfunctioning of your heart. It also helps with stretching ability. That’s why the heart benefits most from playing sports. This physical activity aids in burning excess calories. Playing sports helps diabetic people because it makes the insulin perform in a better manner. By making the most of the insulin present in their body it reduces the risk of type 2 diabetes. The rigorous physical activity involved in sports burns fat and sheds calories. People who play sports on a daily basis are naturally leaner and fatter. Higher blood pressure also known as hypertension may result in a stroke or heart disease. Control of this Hypertension is absolutely necessary. Same can be said with high cholesterol levels. By being physically active in sports, maintaining lower levels of bad cholesterol and lower hypertension is possible. Blood circulation gets better and the body remains oxygenated. It’s obvious that playing sports makes you more healthy and active. The physical activity involved in sports also increase the amount of hemoglobin and the volume of blood. Those who are active in sports have a stronger immunity. Their body is immune to many diseases that usually affect a person of weak immunity. It also increases sweat production and removes toxins. The rate at which white blood cells reach every part of the body increases. Toned muscles are always desirable. Sports are actually the best way to get toned muscles. It is considered as one of the best forms of workout for the muscles. Both inner and outer muscles get toned up. The endurance of muscles also increases with time. Makes your body stronger healthier. We have mentioned that sports are the best form of working out for the muscles. Did you know that it also makes your bones stronger? Bones get their strength from bone density. This density decreases as you get older. The decrease of bone density can result in osteoporosis. For people of all ages, taking up sports is perhaps the easiest way to maintain bone density. Now that you know the surprising health benefits of playing sports, it’s time for you to share this knowledge with your friends and family. Encourage them to play sports and encourage yourself to be active in sports.